Check for updated Video and Audio drivers to avoid crashes. The two primary functions of GoToWebinar are to share the Presenter's screen and conference call audio. This is why outdated video and audio drivers are often the most common cuase of software crashes when hosting or attending a GoToWebinar. If it finds an updated driver it will download and install it for you. Often Windows will say the best driver is already installed, in which case you may want to check the manufacturer's website directly (this is why we made a note of the type of video card you have). 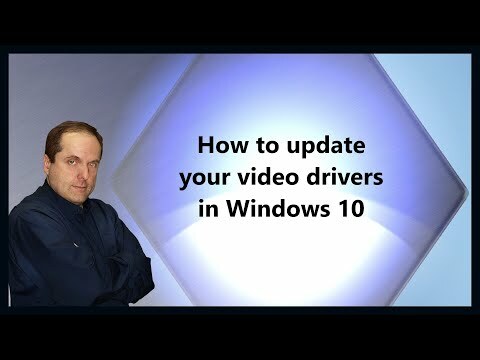 Author, teacher, and talk show host Robert McMillen shows you how to update your video card or graphics drivers in Windows 10.